When Chris Paul got traded to the Houston Rockets, he sat down with the Los Angeles Clippers organization and one name that wasn’t present: new consultant Jerry West. 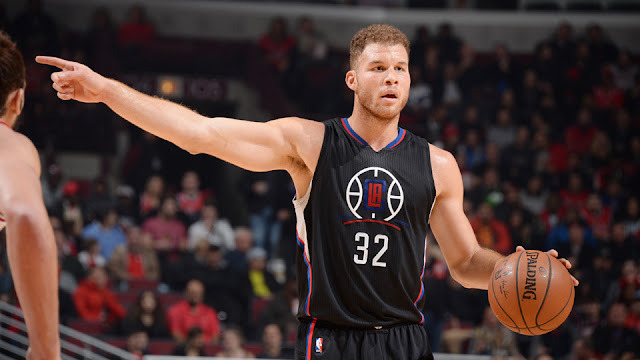 Things went a lot different with Blake Griffin, who met with Coach Doc Rivers, owner Steve Ballmer and West, to ink a 5-year, $173 million dollar contract with the team. The deal does not include a no-trade clause, but is certainly a max deal for the All-Star forward. The Clippers are committing a lot of money to an injury prone star, who won’t even begin the start of next season healthy. Griffin is still recovering from his toe injury suffered in the first round of the NBA Playoffs against the Utah Jazz and might not see the court until as early as December.